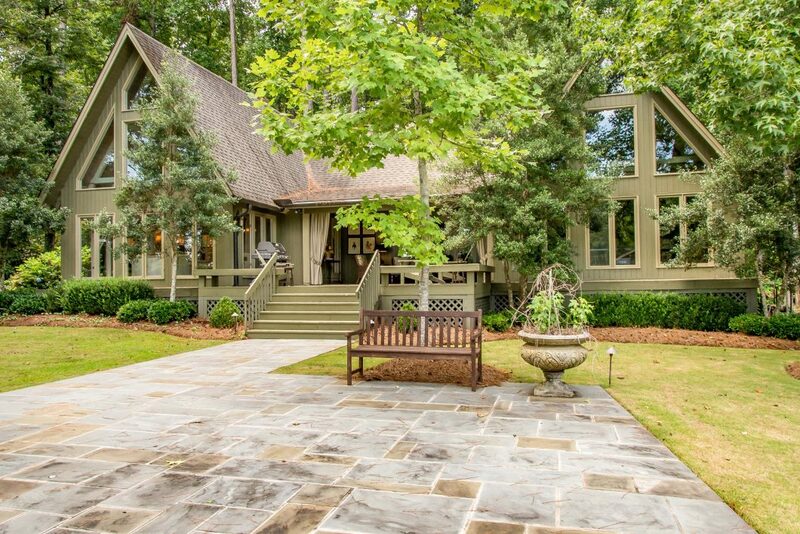 594 Morrison Road is an A-frame styled home located in the Real Island/Little Kowaliga area of Lake Martin. The lot is super flat with over 200 feet of waterfront. 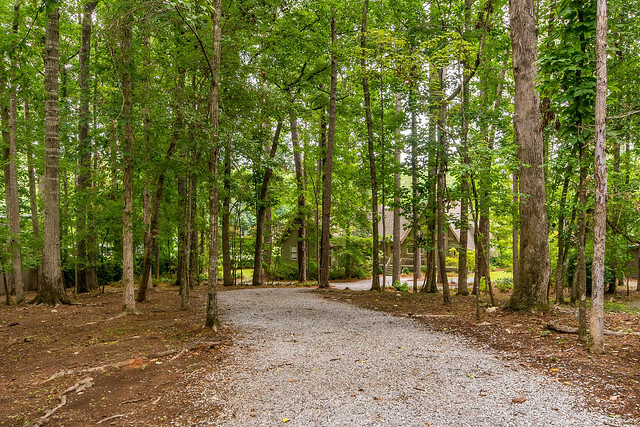 The gravel driveway approaches the home through mature woods and the yard is beautifully landscaped. Well maintained this exceptional home has four (yes, four!) living areas. Let’s count them. First there is a living room on the main level that is open to the dining area and kitchen with a vaulted, natural wood ceiling, hardwood floors and a wall of windows to view the lake. Second there is another living area on the main level with a lake view that is large enough to have a ping pong table or pool table, a fireplace, a bar with a sink and mini fridge, and a comfortable sitting area to watch the games. The third living area is a beautiful outdoor covered porch which faces the lake. If the sun gets too bright when you are out drinking your morning coffee, just close the outdoor curtains and sit under the ceiling fans and relax. The fourth living area is just a short walk away to the large covered boat dock on the water with amazing views of the lake, a wood burning fireplace, two swings to nap on and plenty of room to enjoy a meal with family and friends or watch the games and relax. Besides all of the space mentioned above, 594 Morrison Road also has four bedrooms and four bathrooms and a galley kitchen. The master bedroom and bath are located on the main level along with a second bedroom and bath. The upper level has two bedrooms, two bathrooms and a laundry area. This home is move in ready – no renovation plans needed here! In addition to the main house there is an outbuilding that contains a bonus guest room that is heated and cooled along with a great storage area. Located in a fun area on the older side of the lake – the Morrison Road area is flat and the lots have views to the East. The Real Island/Little Kowaliga area is close to Montgomery. Nearby is Real Island Marina and Kowaliga Marina as well as The Landing at Parker Creek, Kowaliga Restaurant and Children’s Harbor. So what do you think? Are you ready to make an investment in your future and enjoy all that 594 Morrison Road has to offer?